Florida is one of the few states in the USA that have an ample number of colleges for pursuing LPN coursework. There are many opportunities for licensed practical nurses in hospitals, residential care facilities, doctor’s offices, private health clinics, etc. There have been some developments in the nursing industry in Florida such as cost-effective financing mechanisms, improvement in the traditional ways of providing healthcare services, and emphasis on a healthy lifestyle in the recent years. All these improvements has increased the demand of LPNs considerably. The Bureau of Labor Statistics predicts a 20% increase in Licensed Practical Nurse (LPN) jobs by 2020. If you too wish to be a part of the healthcare team of Florida, find the eligibility criteria, coursework, and accredited schools in this article. The candidate must be at least 18 years of age. S/he must not have any criminal record and should provide a document reflecting that. Finger print report must be submitted. Candidate must have a valid photo ID. The aspirant is expected to have high school diploma. Many colleges require you to complete college credits in math, psychology, english, anatomy and physiology. Submission of immunizations reports with TB test documents is essential. You must hold Cardiopulmonary Resuscitation (CPR) certification. Nursing is a profession which requires expertise, knowledge, and skills. The individuals develop these skills at the time of their program. There are many colleges which offer 1-year LPN diploma in Florida. The coursework mainly consists of biology, anatomy, nutrition, specific areas of nursing, and supervised clinical hours. The program is conducted at technical schools, vocational schools, private universities, state colleges, hospitals, and community colleges. 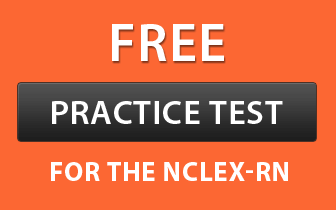 After the completion of an LPN course, the candidates are required to pass the NCLEX-PN test conducted by the state board to acquire the license. Address: 3625 Queen Palm Drive, Tampa, FL 33619.